We recognise that for many Veterans and their families, some aspects of life after leaving the Services can be challenging. 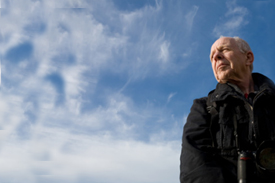 With numerous Veterans’ organisations in Scotland, we understand that it can be frustrating to find just the right person to help with a problem. And we know that whether you have been “in” for 3 years or 30 years, or “out” for 6 weeks or 6 years, problems will arise that could use some help. This website has been set up to put in one place most of the resources you might need, whether it is finding the right school or college for you or your kids; options for somewhere to live; getting access to a War Disablement pension; or finding a route into employment. 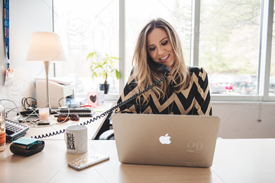 You will find some topics duplicated under more than one heading; this is for ease of access and to make it more likely that you will find what you need. For those who work in Veterans support organisations, please check out the Resources tab; there may be something useful for you there. 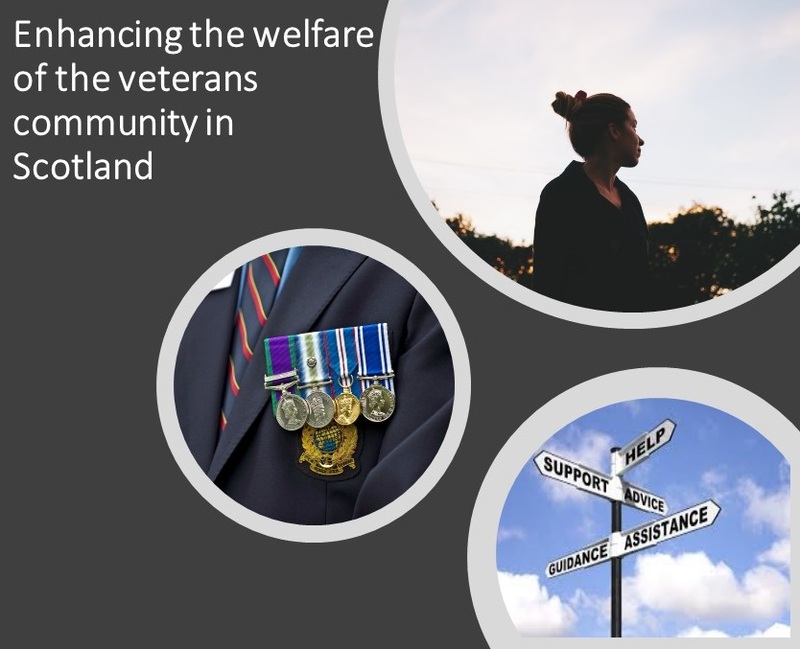 We signpost and connect the Veterans’ Community including their families, with the organisations and services best placed to help with the information, advice and support they need from across Scotland. This includes information on the various Armed Forces and Veterans Champions to information on healthcare, housing, employability, finances and much more. Probably the biggest challenge when leaving the Services will be finding a job. This section will never have a totally comprehensive selection of job sites, but we have tried to provide a selection of options as a start point. Membership of Veterans Scotland, shall be open to any company, trust, unincorporated association, public authority or other organisation, which shares any of the aims and objects of the company. 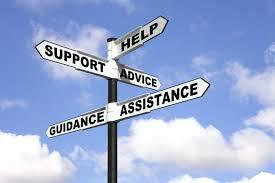 Veterans Scotland has over 70 Veterans’ organisations and they are supplemented by many more that operate UK-wide. 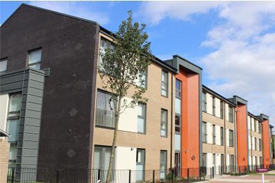 Finding somewhere to live when we leave the Services is usually our highest priority. Most of us find a home to buy or rent, but for some of us, disability or other problems can make the process difficult. Many of us leave the Services with long-term injuries; mostly physical, but sometimes psychological. And the system in civilian life is much more complicated than turning up to sick parade and then doing as you are told. Each Local Authority, NHS Board and various other statutory bodies in Scotland have a nominated Armed Forces and Veterans’ Champion. There are numerous organisations that can provide funding assistance to both individuals and organisations who are working to support the wider veterans’ community. 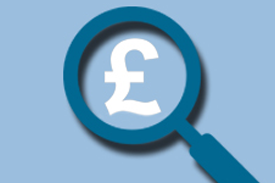 Finding the most appropriate funding body is vital. The Armed Forces Covenant is a promise from the nation ensuring that those who serve or who have served, and their families, are treated fairly. It is an expectation that the nation will look after those who look after us. This commitment is made in recognition of the sacrifices you make on behalf of the country. Click the link below to find out more. 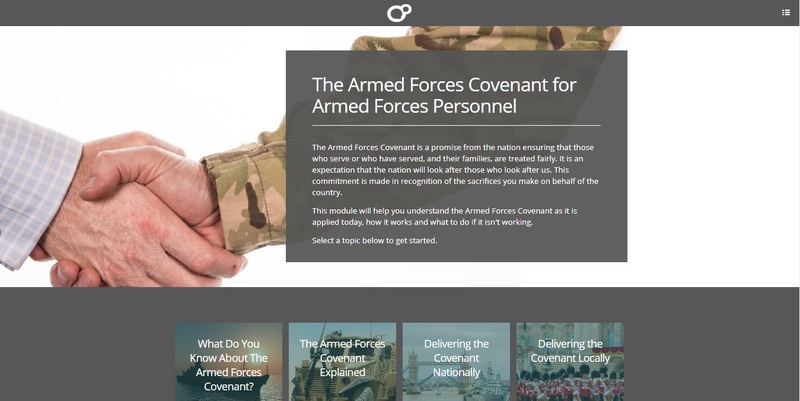 The Armed Forces Covenant is a promise from the nation ensuring that those who serve or who have served, and their families, are treated fairly. This commitment is made in recognition of the sacrifices you make on behalf of the country. 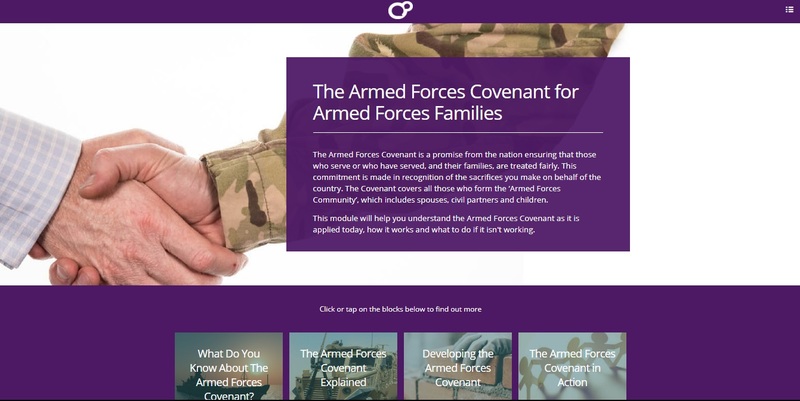 The Covenant covers all those who form the ‘Armed Forces Community’, which includes spouses, civil partners and children. Click the link below to find out more.